The perfect blend of handy, lightweight and reliable. Starting with the tried-and-true U.S. Military-proven gas impingement system and using only the highest quality components machined in Diamondback's USA facility, the DB15 Pistol delivers outstanding performance at an equally outstanding price point. 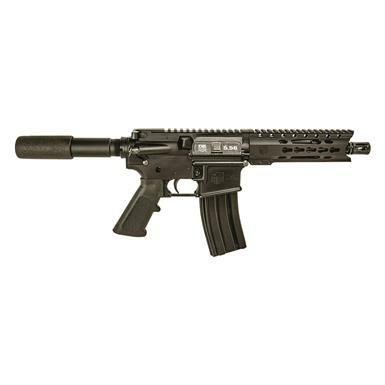 But make no mistake, the DB15 isn't some bare-bones starter AR-15…it comes complete with free float barrel and a KeyMod handguard for accessories. Diamondback DB15 AR-15 Pistol, Semi-Automatic, 5.56 NATO/.223 Rem., 7.5 Barrel, 30+1 Rounds is rated 5.0 out of 5 by 1.